Hotel Four Seasons Kingston Jamaica offers spacious Kingston accommodations with convenient access to all of the capital’s famous sites. 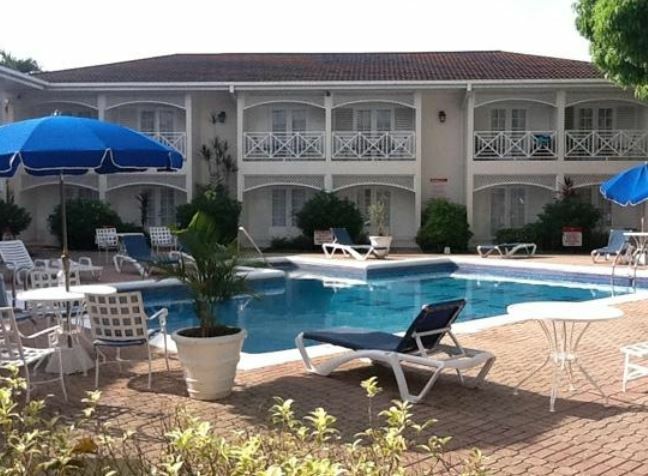 Situated on Ruthven Road, guests of this hotel in Kingston will have easy access to the business district of New Kingston and a variety of other attractions. Located within minutes of the major uptown centre of New Kingston and Half-Way-Tree, the hotel offers comfortable lodging for guests attending business meetings, conferences, concerts, sporting events or vacation in the area. Nestled securely in grounds and adorned with a wide selection of tropical fruit trees, Hotel Four seasons Jamaica feature a warm and inviting environment. With 76 guestrooms some of which features private balconies or pool and court yard views, exceptional dining establishments, a pool, bar, gym and more, this Kingston hotel awaits your arrival. The hotel exudes a fascinating combination of continental European and Jamaican flavors which makes it the best choice for business travel, weddings, weekend getaways or family vacations. The hotel’s wedding reception sites, conference rooms and business centre is perfect for hosting a variety of events. With easy access to the Norman Manley International Airport, Bob Marley Museum, Hope Botanical Garden, the National Stadium, Port Royal and Fort Charles among other attractions, Hotel Four Seasons Kingston is the perfect place to stay for conferences and weddings in Kingston. Under German management, Hotel Four Seasons Kingston offers an intimate welcome that stands out from other establishments in continuation of its “TRADITION OF EXCELLENCE.” Extend the quality and enjoyment of your stay at this magnificent Kingston hotel and enjoy the perfect balance of style, substance, history and culture.